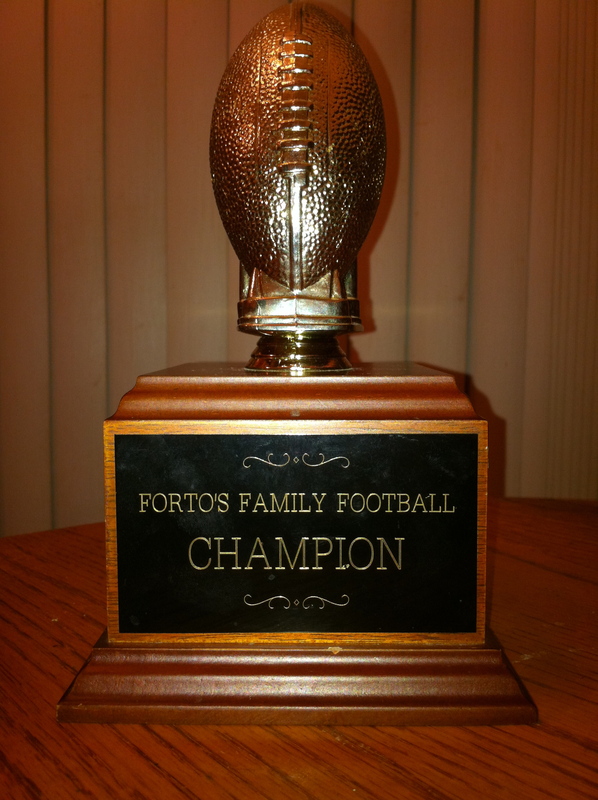 The Forto’s Fantasy Football season is in full swing! My team, Jinx took over the lead this week from my daughter, Nicole (Qyainators), not because of spectacular play by my guys but consistent play from all of them. As we head into the second week of the bye weeks and injuries are still, and always will be, an issue it is time for the team managers to think about their status for the stretch. Jinx: With two of my top point getters, Texans WR Andre Johnson (injury) and Raven RB Ray Rice (Bye) out this week I had to do some creative switching around but luckily I had solid play from my QB, Vick and Lions WR Calvin Johnson’s 73 yard TD pass on Monday night to earn his team a 5-0 start for the first time since 1956. Are the Lions for real? Do you think they will lose before their annual turkey day game against the Super Bowl Champs, the Packers. It could be their year! Qyainators: Nicole’s QB and one of her WRs and RBs consistently put up numbers in the teens or more. This was not a break out week for her superstars as they put up huge numbers the first quarter of he season. What hurt her this week was one of her WR, the Bucs Mike Williams earned a goose egg and her Defense, Tampa lost points (-2). That being said both of these players do play on the same team and they got taken to the cleaners in a 48-3 whipping by the 49ers. Chargers: Kyle’s team still is holding strong in third but he still does not have a full roster. There is a saying: play em’ till the wheels fall off. Well if Kyle doesn’t do something soon he will have go to Coscto real quick and buy a new set of rubber. Wildcats: Russell’s Wildcats had a great week with a solid performance from his QB, the Giants Eli Manning (23 points) and two great outings by his running back and a wide receiver; a record setting day by the Vikings super-star Peterson with 30 points and a 24 point performance by the Chiefs Bowe. Dreamchaser: The bye week killed Michele’s team, Dreamchaser. She had three players on the off week that earned her no points at all. The good thing is now most of her top players have had their off week and she should be set for the season, she is in 5th place and 133 points behind first. There is still two and a months of ball to be played and if she is careful she still has a run at the title.